Had an enjoyable week at this hotel, was better than I thought it would be, we normally stay in 4 star accommodation and wasn't sure what to expect, the room was ok, a few things could do with updating but nothing major. The staff were friendly and helpful , dining area was lovely, never any queuing, food was excellent, something for all tastes. Would stay here again. Only not in March as we had lots of rain! This was our third stay at the Cay Sun Beach Apartments and needless to say we love it here. The complex is only a 10 minute stroll to the sandy beach and 15 minutes to the town centre where there are restaurants, bars and shops. The staff are excellent and the rooms are a nice size although some of the rooms have not been updated yet following the recent renovation. The only gripe we had was the mini market on site it did not open at the times advertised and we are not sure all the chilled products were kept fresh. This issue was our only reservation following another fantastic holiday at these apartments. 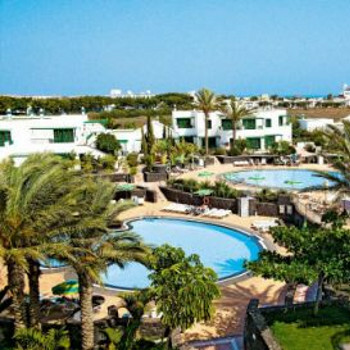 We were on a self catering board which we would suggest is the best options so you can enjoy dining out at many of the fine restaurants in the resort of Playa Blanca. I enjoyed two lovely weeks in sun beach in April. The rooms were clean & well furnished. The food was okay but mainly went out to eat in the evening. Excellent well stocked supermarket on site, all reasonably priced food & drink available. The staff were all very nice fron reception staff down to maintenence staff. only real negative was the lack of entertainment but my boys are 13 & 11 so it was fine to go to resort centre. Hotel Sun Beach is a lovely hotel with 2 big pools (which are cold but you get used to it and who would want a hot pool when it is so hot ouside?) which me and my partner enjoyed every day. The onsite supermarket is small but there are Netto supermarkets everywhere so there is no trouble buyng the foods you like. The receptionists are fantastic: I practiced my spanish with them and they literally gave us every map and leaflet they had to help out. I ate in the cafeteria about 5 times and not once was my food cold; it was fairly cheap and the service was quite quick as well. The hotel bars were lovely and ran by a hilarious man called Tom who is one of a kind! They have a fair amount of activities such as volleyball but they only run from around 10-3. Nightime entertainment varies as there is a lot of karaoke, but there was a fantastic variety show, a contortionist and a karoke session which had quizzes etc which was good fun. The Thomas Cook party night was alright as well. The apartments are fairly big and clean with slightly outdated decor (but that't not exactly a problem). The bathroom is nice with the most powerful shower I have ever been in! The kitchen facilities are very good: you get 2 hobs, saucepans, microwave which has an oven setting, kettle, blender etc. The TV has 2 English channels (Eurosport and CNN) so there is something to relax to if you like your TV. You either have a little patio garden or a balcony: we had a patio garden which was lovely to sunbathe in. We rented a safe and you can rent a fan, but our room was nice and cool at night (air conditioning is however being installed at the moment). The Sun Beach Aparthotel is a lovely place to stay which is in a good location. As we left my partner commented that for a 3 star it is an outstanding place to stay and I agree. Room was on ground floor overlooking one of the pools. Rooms were bright and clean. A very peaceful hotel. I am an early riser and staff were on the go form about 7.30 am. Never saw anyone put towels on beds befor 9.30 am but there were plenty and I never found it diffiult to get one at any tie in the day. Had something to eat t the snack bar a few times and food was served quickly. Quality good for a snack bar. Prices were ok.
No entertainment for adults during the day/evening. One person for the childrens entertainment. About 10/15 min walk to beach/shops/bars. One thing I would say that on site super market has very good selection food/drinks at good prices so no need to walk 30 mins in the heat to SPAR SUPER MARKET in shopping centre. the rooms had 2 cooking rings,combi microwave,kettle,fridge,coffee maker & juicer.no air con but it was being fitted as we left,we had a ground floor room facing the road but the temp at night was not a problem,very hot on patio in afternoon.cleaners where busy at all times in rooms and around the grounds.it was a good 10/15 min walk to the beach/prom which was a bit much towards the end of the week and it can be very windy & you will need sleeves in the evening.didn't use the hotel entertainment but it seemed to be kareoki,quiz or karioke.we wouldn't go back here mainly because of the walk but the hotel was fine. Pleasantly surprised when we arrived. Great room right by one of the pools. Facilities in the room were basic but perfectly sufficient. The maid service was regular, towels and sheets changed regularly. Our one complaint about the cleaning was dealt with immediately. The hotel was half a mile from the beach and the town. There were plenty of places to eat and drink. Playa Blanca itself is quite quiet and family orientated rather than aimed at the young party crowd. This suited us fine. All in all we were pleased with our holiday and we would stay in Sun Beach Hotel again, although I think some rooms are much better than others. The hotel is a bit dated and could do with a freshen up but on a whole for the money we paid the accomodation was fine. There is no air conditioning, but i must say that we coped really well without with a little help from the constant winds. Remove the waterproof covers on the mattress before you go to bed, to save you sweating like a pig!! We booked in for a five day special discouint to eat in the hotel half board, the food was luke warm and often we were not actually sure what we were eating. This is a shame because they could do alot with the restaurant and encourage more people to eat there, but it was never even a quarter full on any of the evenings that we ate there. There are plenty of sunbeds available but you need to be an early bird if you want to get a decent bed, 7.30am is not unusual for towels to be on the beds. But beware the hotel staff do do occasional towel sweeps and remove the towels from sunbeds that have no people on them, so you've been warned! Beware the pool area is very slippy!!! As are the terrace areas especially when wet. The steps are also quite dangerous as they do not have any tread and there are a few broken tiles. Hotel staff, especially receptionists are very friendly and helpful. The supermarket on sight is quite reaonable, remember hot rolls are usually ready about 8.30am, a must! The animation team one guy is really good with the kids, playing water polo and a few other games around the pool during the day. The ground floor apartments are really good especially the rooms around the pool area, very handy during the day. Quite alot of ants in the rooms that like to share your beds! But you soon get used to them. 8ooM to the beach is a little bit of a fib, it is a good 10/15 minute walk to the beach, so be prepared. Thre are small hairdriers in the bathroom, but i would still bring your own unless you want to spend 1/2 an hour drying you hair! There is a happy hour between 2-3pm at the pool bar and then 4-5 in the cafeteria, remember to ask for the iced pint glasses, very nice. Hotel entertainment is pants. We discovered that you could visit the Lanzarote Princess around the corner, and as long as you bought a drink there you could watch the entertainment, which is a kids disco at 8.30pm until 9pm and then the show at 10pm until about 11pm, the usual rep shows and a couple of professional acts but it serves a purpose, the waiters are really nice and great with the kids. It seems that i've done nothing but moan but i would go back to the apartments, i just think it is nice to know before you get there what you are in store for, there are plenty of people that return year after year. I hope you find the review helpful and don't let me put you off, just don't do half board!!!!!!!!!!! !